If you feel it’s worth a contribution (and it is), help them fund the film by visiting their IndieGoGo page. As you can see from the videos they will have some premier brewers in front of the camera talking shop – Jim Koch from Sam Adams; Alan Newman from Magic Hat and John Kimmich from The Alchemist. Grab a can of Heady Topper (if you can get it) and watch the teasers until you want to contribute. You can also visit Brewland on Facebook and Rough Water Films on Facebook. Yard work beckons me. I laugh in its face. It’s henchman, the wind, blows detritus in my face. The Spring Games are on. After recruiting teenage assistance weeds are slaughtered. Trash is discarded. Fences are erected. The rest shall have to wait for another weekend. Seems like a good time to start the AlphaBeer Tour. A is for Alpine Spring. Flower blossom. Honey, buy not honeysuckle (which is, like, a standard spring smell, right?). I also imagine ginger and lemon. Those sound like a good names for twins. And I know just which ones. It resembles a wit – cloudy, milky, opalescent, yellow champagne. It maintains a good mousse like head. Very white. It lingers. It has the circus character of a wit but the honey makes it sweet – overly so for my tastes. But I also like the juxtaposition, the contrast. I could discern no tartness or bitterness, no serious hops impact from Tettnang other than the flowery smell. This is a spring beer but it is redolent of the homes of old people from my youth in the late seventies, early eighties. I received visions of yellow and green carpet. Or a casino replete with a cigary coating on tongue. Hmm. Weird. Lingering is good descriptor. This is a drink that is … weird, yet not terrible. It’s drinkable, not necessarily repeatable. .
What is hazel? It makes me think of eyes. I like to think that my own eye color is hazel, a conflation of brown and green and flecks of other. Wait a tick – hold the phone – hey, they probably mean hazelnut. So, a nut flavor in a brown ale? What the hazel will brewers think of next? It’s brown, very dark tea brown. I see no green. No other. What the hazel? Good ivory collar. It is very clean, like laundry. But the aftertaste is a liquid description of dank London – sharp, moist, a blurry photograph of Kate Middleton. A resounding and lingering creaminess coats my tongue. Thats not from the white part of the hazel eyes they put in the beer, is it? What a fascinating dichotomy I may have detected, provided I know what the word means. This beer is a brown so it doesn’t really (and shouldn’t) have a heavy mouthfeel, yet that ethereal creaminess presents the illusion of thick mouthfeel. It is brandy, raisins and oranges. Or a Snickers bar. Really, one of those icky filled chocolate things from a generic box of said chocolate. In a brown ale? Is that the effect of the hazel? It complements rocky road ice cream by shoring up the chocolate flavor (ooh, mayhaps that is the reason I detected so much dang chocolate in the beer; ere I was eating chocolate ice cream) and verifying he dryness of the nuts. And how brilliant it is to pair beer and ice cream, especially whence counting calories. This really is a delightful beer. So familiar, yet twisted in a soulful manner. Hazel Brown is a fun take on a brown ale. I’ve had two and I’m not afraid to drink it again. What brilliance drove the brewers at the Boston Beer Company to release a pumpkin spiced ale … in autumn? Its utterly amazing. Oh, it’s not officially fall yet? Oh, I see. 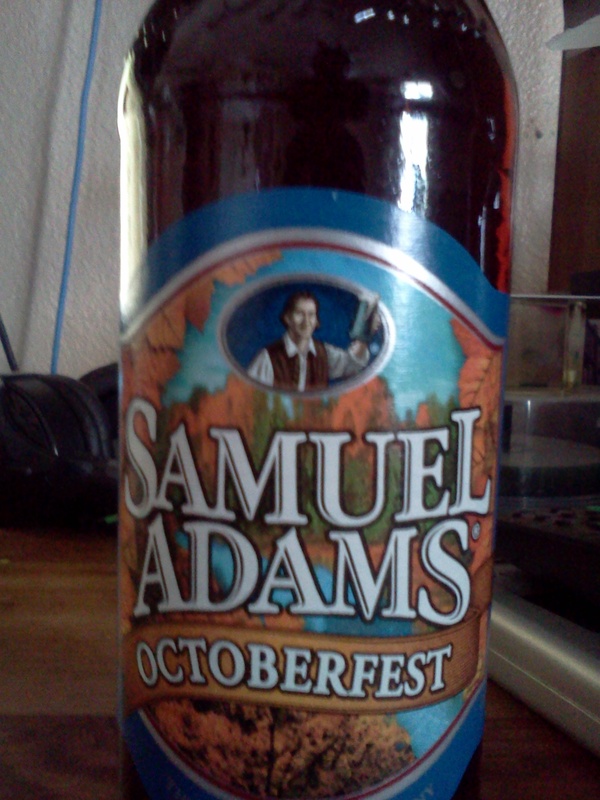 Very well, Sam Adams has broken all boundaries by releasing their Pumpkin Ale near fall. Brilliant. Pumpkin ales are like Star Wars books. You know exactly what the plot is going to be, you know the players, the tropes. Sometimes the covers are pretty cool, and sometimes the stories actually surprise you. And sometimes, well, they don’t. In a shocking choice of palette, this pumpkin beer is orange. 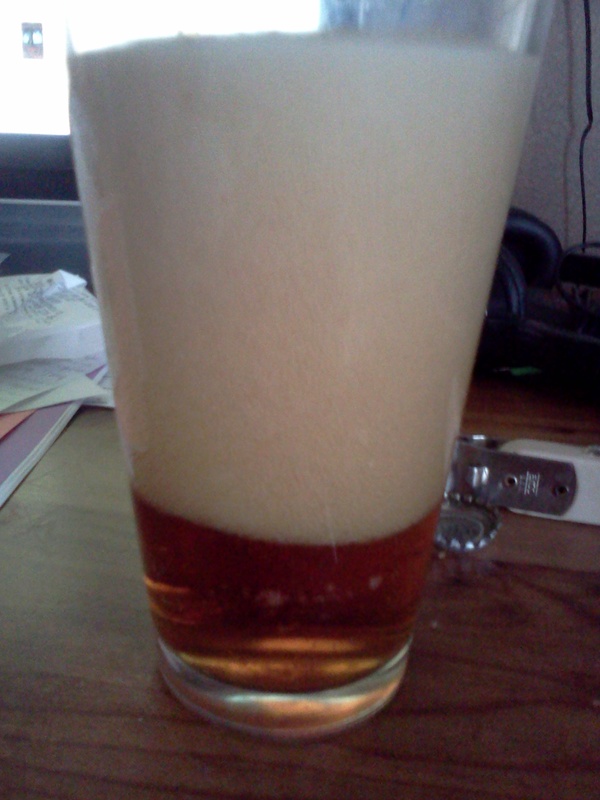 Like the seeds of its muse, the head is an off white with bubbles of varying size. 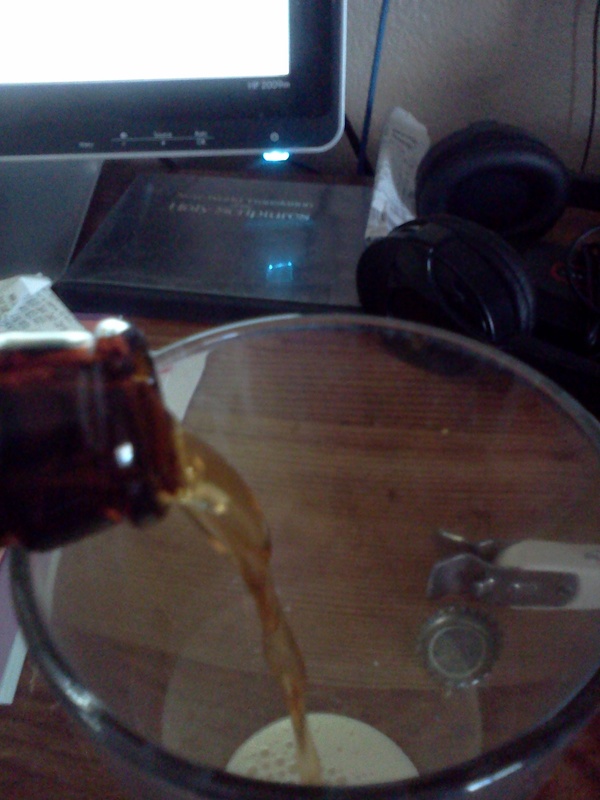 It tastes like a weak Cherry Coke, a tad caramelized. The burnt sugar attaches itself with gusto to the northeast corner of the tongue, waiting for the spices to come walking by. Alas, their wait may be long as the powdery layer of sweetness turns the spice away. The aroma enlightens the nares, a conflation of glazed doughnut and crushed candy corn. And I’m certain there’s a hint of Bubbalicious. Shall this be consumed with some kind of pie? Perhaps a spinach brûlée? I chose a frozen bean burrito doused in salsa. Ah, the elegance! It’s banal in its striking appropriateness. Those who are certain of their own higher cognitive functions will delight in drinking a concoction made with squash. They shalt revel in its tingly spiciness. Lowbrow drinkers will sing the joys of a “harvest” beer celebrating the working class. Oh, and it comes in a brown bottle. Of course. Pure genius. It’s a Star Wars book that pleases but surprises not. Yes, back in the day – almost fifteen years ago now – the great beer, Octoberfest, was introduced to me and I to it. An old friend and I were in the mood for a marzen and we found the Sam Adams version and there was great rejoicing. It’s a beautiful beer. We used to have a big party two or three times a year wherein his family and ours and a couple of other would hang out, eat good food and drink beer. Octoberfest was almost always on the menu if the party hit late in the year. I think what I love about Octoberfest, and marzen’s in general, is how easy they are to drink. They are like the ultimate beer style. For example, Octoberfest does have hops – you can smell that noble green product hovering in the creamy head – but they don’t overpower or dominate the brew. And Boston Beer has a penchant for hops. The hops have found their place, they are the gorgeous backup singers in this band. The roasted malts are sublimely balanced, they taste sweet, just slightly caramelized, a hint of their roasted nature. The malts provide a medium body, not too thick, not too diluted. The malts are the band here, a tight band, one that’s played together for years and understands the direction each are taking and they all contribute to the finished product. 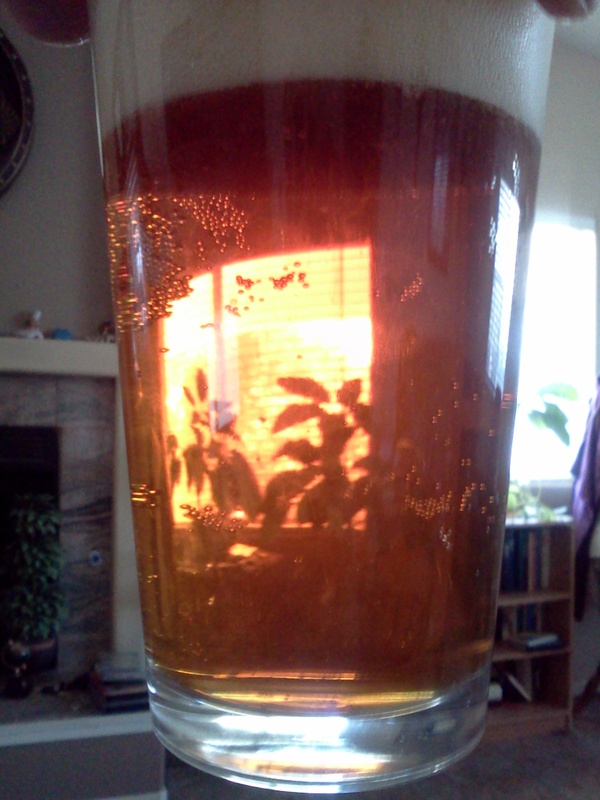 The caramel malts help give it the brilliant red-amber glow. Those Munich malts probably donated the bready aroma. And they all pitched in for the yeast to provide an alcohol content of5.%. Talk about a session beer, I think marzen’s are the best. They don’t require strenuous thinking to dissect their discrete parts. The beer doesn’t fill you up, it doesn’t assault you with alcohol. 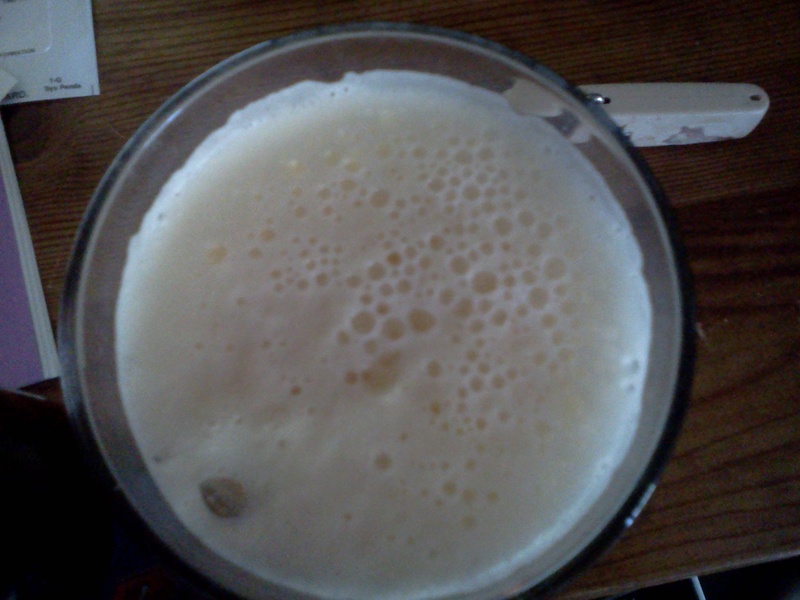 It is everything a beer should be, refreshing, tasty, eminently sharable. 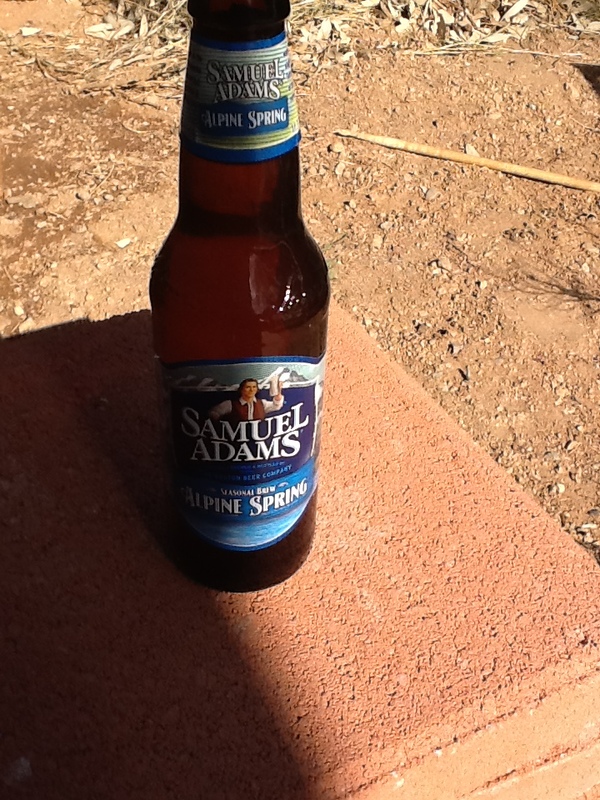 It’s my favorite Sam Adams beer. I like Boston Beer Company more and more, too. Now that the malignant Budweiser is no longer and American brewery, Boston Beer has taken over as the largest domestic brewery here. At least, I believe that’s the case. (If I am wrong, please, someone notify me). It has waged war with the bigger breweries, never surrendering, always pressing forward, brewing with honor. I’m gonna go drink another pint and read another book.